No one cares about tyres, right? WeAreFearless leads the strategic delivery of the fully integrated Pan-European campaign across creative, content, digital, PR, talent management, activation and B2B comms. How do you transform a brand in a category that nobody really cares about? And add real meaning and personality to a brand in a context where over 70% of purchase decisions were being made by dealers inside dealerships. 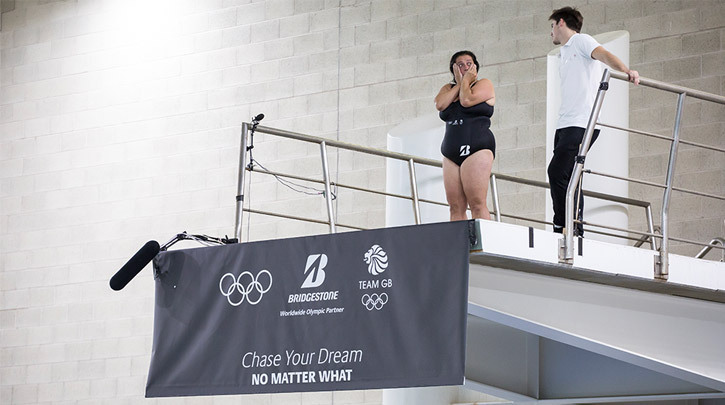 As part of Bridgestone’s global IOC Olympic Partnership, WeAreFearless helped developthe creative idea Chase Your Dream, No Matter What to reinforce the product truth that Bridgestone tyres keep you safe and on trackin any conditions. 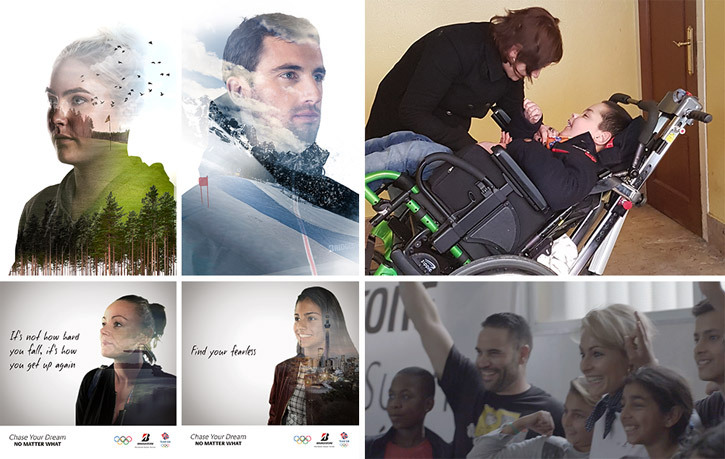 The pan European multi channel brand campaign celebrates the (Olympic) spirit of perseverance inspiringeveryone to overcome adversity to realise their dreams. We’ve partnered with 19 iconic Olympians across 6 markets who have not only achieved Olympic glory but have overcome extreme adversity on their journeys to success. Each Ambassador’s story of struggle and the inspiration it brings lies at the heart of the campaign. UK Olympians included Daley Thompson, Chris Mears and Charley Hull, Britain’s leading female golfer plus sprinter Christophe Lemaitre, Winter Gold medallist Pierre Vaultier, triathlete Javier Gomez Noya, gymnast Fabian Hambüchen and marathon runner Valeria Straneo are all part of the European Ambassador Team. All epitomising the battler mentality and there to unlock the everyday battler in all of us so we can chase our dream no matter what. We produced over 1000 pieces of content across 6 European markets including highly emotional films telling their unique stories of struggle across multiple content formats. These stories of grit and the extraordinary power of human perseverance powerfully communicate our brand purpose. 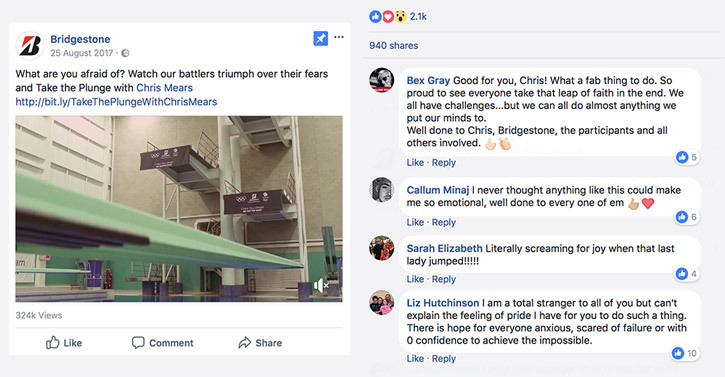 From immersive experiences in Stadiums to falling backwards in the dark from a high platform at the British Golf Masters to Chris Mears’ Take the Plunge 10 Metre high diving board event where we helped people with severe anxiety overcome their fears to change their lives forever. pledging to chase their dreams, no matter what. And online dream submissions where winners had their dreams fulfilled creating unique emotional content. ALWAYS ON SOCIAL CAMPAIGN –COMPETITIONS, POLLS, PROMOTIONS.